I am very pleased! The young man who set this up was amazing at what he does and a true professional. I very well might be back in touch in a year or two looking at a camp structure for my kids and their family’s if I purchase the adjacent lot. Thanks again. C.G. Thank you all so much. I am sure that I will enjoy my new building. This is my second one and met all my expectations. We are very pleased with all aspects of the purchase. Our friends and neighbors were duly impressed. Andrew was fantastic with the sale and arrangements, and the delivery driver was patient and surgically careful with the installation. The structure looks great and feels quite solid, although we know that the threats of time, rain, snow, ice ahead, rodents, small mammals, insects, and nesting birds law ahead! There were several small areas in which the stain had either rubbed off or was sub-optimally applied, but that will easily be remedied with the supplied can of stain. I had recommendations from two of your customers when I made the purchase, and will join their ranks in endorsing Hill View. Thanks so much. L. L.
... Thanks for sending Craig to level the Gazebo which had settled do to the severe cold and snow this winter. It is nice to see that a company really cares. It is not just the sale and price, but the caring about who you sold something too. Many people sell you something and when you are out of sight that is the end of it. I own an Automotive repair and restoration business and we have a sign when you walk into our showroom/waiting area that says. "Attention to detail-that is the Rinaldi difference". well the same definitely applies to your company. Customer service comes first and that proves out by the size and growth of you business. 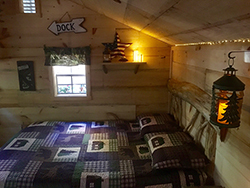 Thought I would share a few pictures of our new "bunkhouse" we purchased from HillView earlier this summer. It has worked out fantastic!! Thank you so much Franklin! We love the gazebo!! 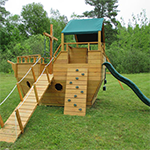 Its sturdy and very well made. We are so pleased with it! Everyone I've dealt with at Hill View have been fantastic, including the young gentleman that delivered yesterday. He was so professional and so well mannered!! The guys who did the pads were great as well...very professional. You have a well run company Franklin and that's saying a lot in today's world! You should be proud! See you in week and a half for the garage! My wife and I are quite engaged in a number of different activities and responsibilities so have quite limited time for emails, social media, and tweet. As a rule, we just do not do any reviews or comments. But. we want to take out time to thank you for the totally professional way you helped manage our purchase decision. You were exceptionally knowledgeable and extraordinarily helpful! We dealt with four firms dealing our purchase process. 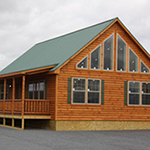 You and Hill View Mini Barns clearly offer the better product at a reasonable, albeit higher price. 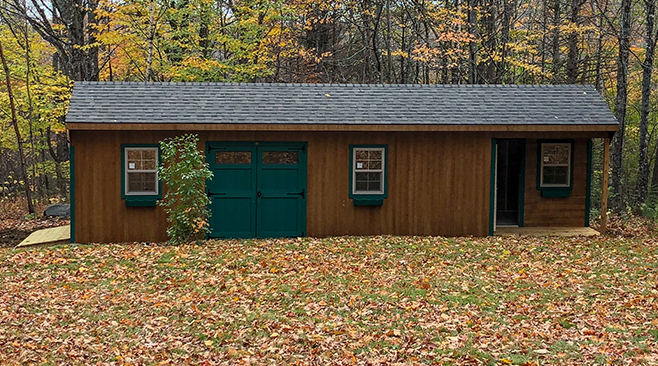 Several of your competitors are simply just order takes: “can you paint the exterior – absolutely not this is our busy season”; “can you prepare the base for where the shed will go – no, no, we just build sheds.” You were selling us solutions when several of your competitors are simply selling sheds in as-is condition. We are impressed with the level of thought that has gone into your selling process as well as every stop along the way. The site prep people showed up ready to work and got the bed and the stacked sand in place in a very short period. They communicated a professional manner and were engaging with us. The young man who delivered the shed this past Wednesday was also a professional who knew how to manipulate the truck beds to place the shed immediately on the correct spot. We would rate the purchase decision, the site preparation and the site installation as all 10’s for exceptional service! Hill View Mini Barns is doing some exception work! Please forward this email to the owner/president, as I would like for the senior managers to get a flavor for the great work you are doing and what a terrific team has been assembled. The commitment to buying the best equipment that enhances performance while also designing the systems and procedures for maximum effectiveness is impressive. T. K. & C. G.
Hi- I just wanted to thank you -- and the entire team that came out last week -- for a very smooth experience in getting my new home in and settled. All of the guys were exceptionally polite, friendly, and easy to work with. They made a potentially stressful day much more enjoyable! The crane driver particularly surprised me by thanking me for my business.....when I should have been the one thanking him for doing such a nice job setting the house! All in all, two thumbs up. But having worked with and around a number of construction teams before, I have to say these guys were the most polite and mature that I have ever seen. No cursing, spitting, crude jokes....they were clean, cleaned up after themselves, and courteous all the way around. They even provided some feedback and advice on setting up the basement which wasn't 100% related to the modular -- but wanted to be sure I had a comfortable end product. 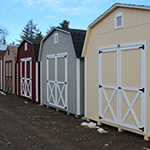 "Our experience with Hill View Mini Barns was exceptional. From ordering the shed to the final delivery. We are extremely pleased and the shed we ordered is of exceptional quality and it looks great! 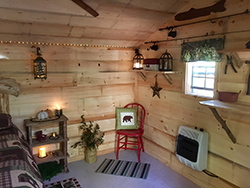 We were able to customize a few things to make our shed better meet our needs. It matches very well with our house. The price was also very competitive to others. 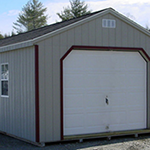 We would recommend Hill View Mini Barns and definitely would do business with them again." 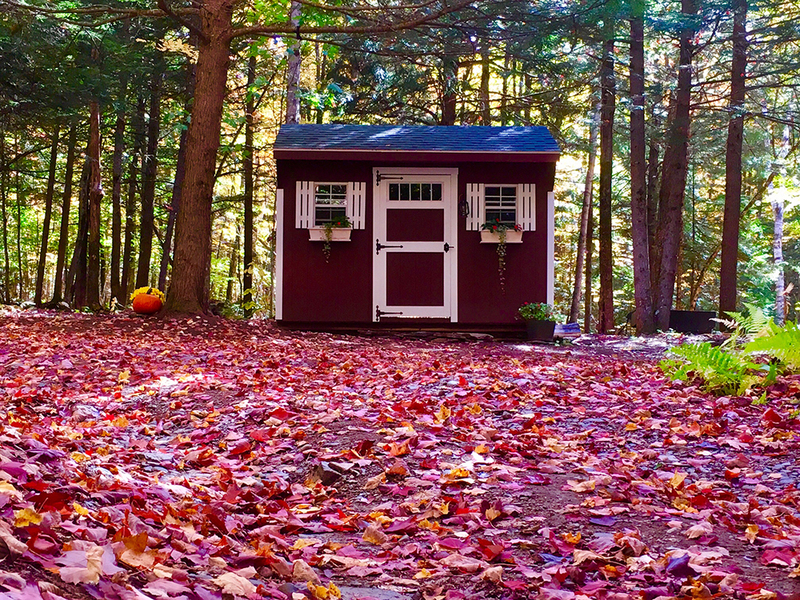 "I just took delivery of my shed and it went absolutely perfect . You guys are true professionals ....the whole process from selection , answering questions, ordering , scheduling ,delivery and setup was not just good ...it was great! I will recommend you to everyone who sees my new shed . 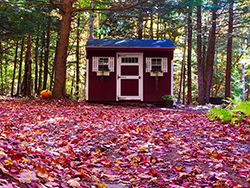 Thanks again"
"Thank you all for your wonderful service in the purchase and delivery of our shed. 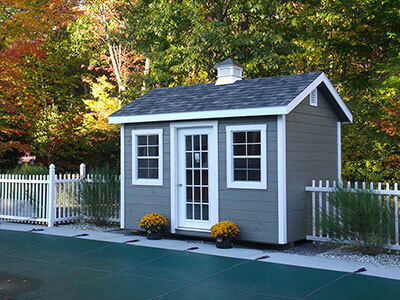 From the beginning of the purchase process all the way to the final adjustment to make sure our shed was in the absolute perfect position, your company simply just provided excellent service. I will be sure to recommend your company to anyone who may be looking for this type of product." I wanted to take a minute to tell you how very pleased I am with our building, your crew, and the entire experience with Hillview Mini Barns. I think we may have been one of your most complicated and challenging installations and delivery, with many twists and turns in the process. Regardless of all the hurdles, everything exceeded my expectations and I am thrilled with the quality of our new building and the care and professionalism your crew took to get everything done so very well. I will recommend Hillview Mini Barns to all my family, friends, and neighbors. Thank you so much for a job well done! Tom and I wish to thank you for our new home. Saturday was one year when our home was delivered. We are enjoying the comfort and ease of taking care of our new home. We are warm at -25° and the kitchen is everything I asked for. Just had our shed delivered. It was a great experience. Jason[James] (I hope that is his name?) was the delivery driver. He did a fantastic job! Your team made the experience of choosing, purchasing and delivery of your product nothing but a very, very positive experience! I would not go anywhere else for the products you sell. Your company will be highly recommended to our friends. Here are a few pictures of the tree that fell on our mini barn. It had relatively minor damage for the size of the tree that landed on it. Brian did an excellent job repairing it for us. It looks as good as new. We love it! ...Thank you again for being one of the few companies that still knows quality. I wanted to appreciate the friendly customer service and accomodating my family with getting the perfect barn to meet our needs. 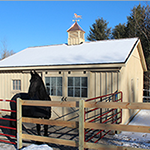 You answered our long list of questions and demonstrated the features of our new barn. The quality and attention to details with construction is obvious with your barns. The delivery process was also professional and on time "as promised". Wendell, your delivery driver put the barn in our exact location and ensured the barn was level, and the door lined up correctly. This is our 3rd building we have bought from your company + we both can't say enough about the quality of your products, your promptness in getting the work done, the courteousness of your staff, your extreme hard work, etc. We would recommend your company to anyone. Don't be surprised if in the future we sell our main home + order a smaller retirement home from your company. We just want to thank you, your crew, and Tom for a job "Well done"! We appreciate the fact that the job went fast, there was no bad language from any of the men, also there were no cross words among them. We will recommend your company to everyone that we know that might need a new building. I wanted to take a few minutes a[nd] write a letter of recommendation for Emanuel and all of the employees of Hill View Mini Barns. My wife Laurie and I have been planning a camp on a lake in Northern Maine. We were referred to their company and stopped in to meet them just a few months ago. We found a cabin they offered and started the process. 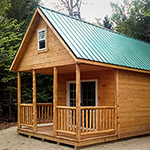 The cabin was built completely, including the wiring and plumbing to our specifications in about 6 weeks. We hired Emanuel to do the site work as well which he completed in time for the delivery of the camp. We asked for pictures throughout the building and delivery process which were supplied for posterity. Six weeks from the time we introduced ourselves the camp is in place and we are already enjoying it. The craftsmanship is exact and beautiful. I strongly give my recommendation for this company and will always be thankful for the job they did. It is a "turn key." We passed the Mini-barn establishment several times in the past couple years and thought how nice if we could have one of your buildings on our property. From the day we entered your office we were impressed. We finally made the decision to acquire one. It was delivered way ahead of schedule which we were very pleased. It is well built to code. It was maneuvered with great skill on the site your help had prepared. There it sits and makes a great improvement to our yard, and thanks again for the great service. We wanted a storage building and our first stop was Hill View Mini Barns which we remembered as being close to the Sabattus exit of the Maine Turnpike. Being unfamiliar with the "costs", we decided to check four other places that handled barns n' sheds. Let me tell you what we found: Higher prices, lower quality! We were impressed with Randy Weaver and his caring attitude and complete professionalism in meeting our needs. We returned four hours later and purchased the building we wanted. It will be delivered in ten days. We're thrilled with the entire transaction. 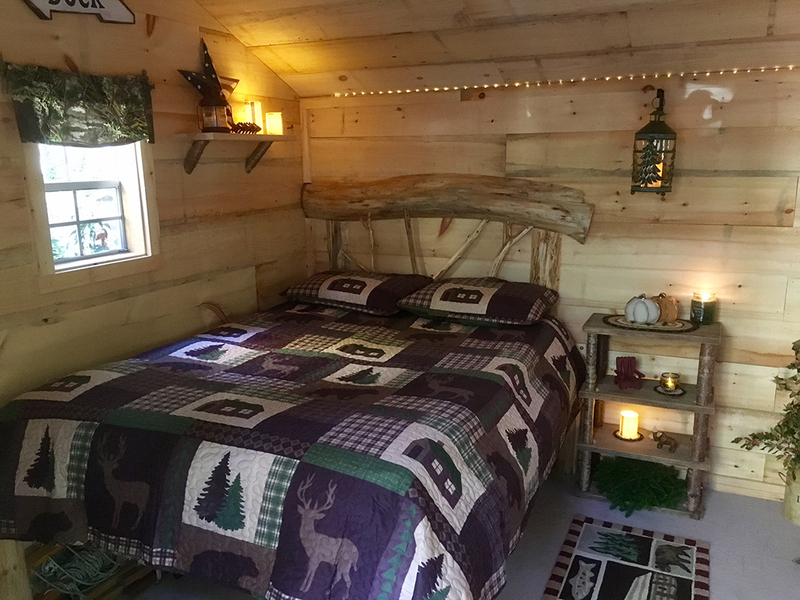 I was so impressed with my shed! Thank you so much. Each time I called you were so gracious and helpful. Also, the two men who brought it were just wonderful. They really know their job. I would recommend your company to anyone looking for prompt, quality work.